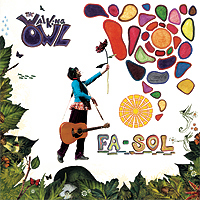 The Walking Owl - "Fa-Sol"
This is a record by a Danish musician, Bardo. This is a special mix of acoustic folk psychedelia. He has been compared to John Fahey, St. Michael and others. I think this description is pretty right on, although the record is not that psychedelic as a lot of the St. Michael stuff. The record features 17 songs of guitar and storytelling. In between are a few short numbers with strange noises and things. If you like acoustic folk with a psychedelic edge, this is well worth checking out. It is only released on vinyl. For more information you can visit the Orpheus Records web site at: http://www.orpheusrecords.dk.